There are several types of video production with some of the most common being done for film and TV including television commercials, web or online commercials, corporate videos ( our specialty here at Groovy Concepts ), marketing videos, event videos and so much more. The main difference between personal video production and professional video production is the end usage. If you are filming a concert or your child’s school play with your iPhone or video camera to capture family memories you may not need to read on much further, although we have seen some impressive production techniques used for home videos over the years. 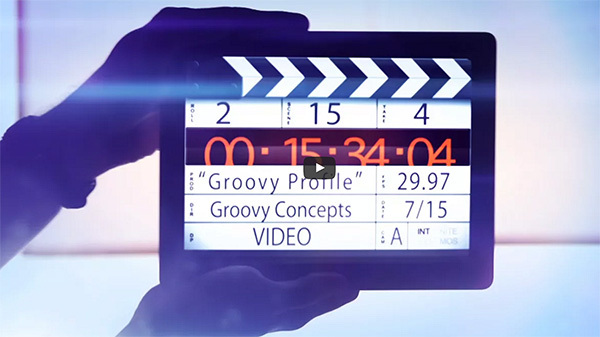 There are many stages of any professional video production to be considered. Here are a few of the “go to” things one should consider before any filming begins. The scale of any production is usually determined by the crew size needed and not the location or type of content to be captured. There have been several full length feature films that used a very small crew while some corporate video productions have used dozens of crew members. It is important to understand what resources you may need well before you begin any project. Sometimes, keeping it simple ( the gool ol’ KISS principle ) is exactly and only what may be needed. Before you embark on any video production, you may want to consider storyboarding the entire script. “Plan your production and then shoot your plan”. When you use pre-planning like this you should be able to determine what equipment may be required. Will you be using boom microphones to capture all audio or need wireless lavalier mics to capture the voices of your onscreen talent? Will you be using any type of crane shots ( very expensive ) or be hiring a camera drone operator to capture footage from above? All of these styles and techniques require careful pre-planning before anything else. When you are planning to shoot any type of corporate or event video you need to consider various things like location layout, hours of operation, privacy concerns and access to electrical outlets, etc. You should also do some research about local insurance regulations to keep the production moving along in case of any unforeseen occurrences. At many trade show events, the organizers will have already arranged for most of this ahead of time but always do a double check to be certain. Another issue to consider is getting signed talent waivers allowing people in background shots to be featured in the production. The last thing you want is a letter from a lawyers office requesting that you take down any videos you have shared online.